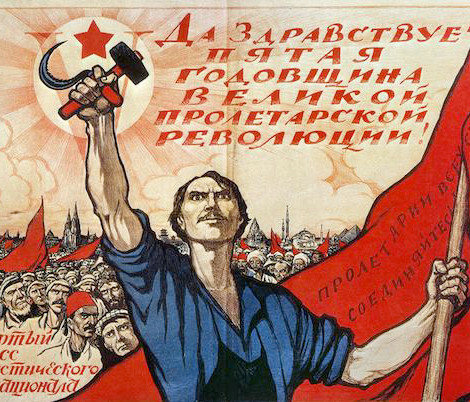 The Russian Revolution was a groundbreaking event that shaped modern history. At the turn of the 20th century, Russia was one of the world’s largest and most powerful empires. Its landmass stretched from Europe to Asia and spanned one-sixth of the globe. Russia’s population exceeded 100 million, its people coming from dozens of ethnic and language groups. Its peacetime standing army was the largest in the world. Despite its enormous size and power, Russia was as medieval as it was modern. The Russian Empire was ruled by just one man, Tsar Nicholas II, who claimed his political authority to be a gift from God. In 1905, the Tsar’s autocratic power was challenged by reformists and revolutionaries who wanted to create a modern democratic Russia. The old regime survived the challenges of 1905 – but the ideas and forces it unleashed did not disappear. World War I provided the catalyst for the revolution in Russia. Like the other old monarchies of Europe, Russia plunged into war readily and without thought for the consequences. By the start of 1917, the war had caused millions of deaths, decimated Russia’s economy and diminished popular support for the tsar and his regime. Nicholas was removed in power and replaced by a temporary government – but this new regime faced its own challenges, such as the continued pressures of war and rising radicalism among the working classes. 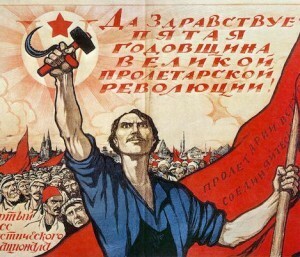 A second revolution in October 1917 placed Russia in the hands of radical socialists led by Vladimir Lenin. The Bolsheviks, as they were known, extolled the virtues of Marxism and promised a better society for the working classes. But could they honour and fulfil these promises? Could Lenin and his new regime improve conditions for the workers, while overcoming the ravages of war and dragging Russia into the modern world? Alpha History’s Russian Revolution website is a comprehensive textbook-quality resource for studying events in Russia between 1905 and 1924. It contains more than 400 different primary and secondary sources, including detailed topic summaries, documents and graphic representations. Our website also contains reference material such as maps and concept maps, timelines, glossaries, a ‘who’s who‘ and information on historiography and historians. Students can also test their knowledge and recall with a range of online activities, including quizzes, crosswords and wordsearches. Primary sources aside, all content at Alpha History is written by qualified and experienced teachers, authors and historians.